Locking yourself out of your car is pretty unfortunate. When you are just getting off from work and you want to go home and rest and then you find out you locked your keys in the car. 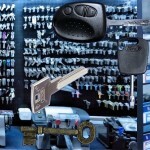 This is when you need good auto locksmith services. Worn out car keys can also be frustrating. You could be trying to get into your car unsuccessfully. The locks could also be broken. All these situations require you to call in a professional. It doesn’t help anyone when you try to fix it yourself. Perhaps you start jimmying the car locks in hopes that it will open. This will just cause you more damages. You can also imagine how you look standing there trying to force open your car doors. Professional auto locksmiths can help you out when you have trouble with your car locks. Whether you want to get new locks, replace keys or just get your locks opened, you can get the help you need. With a qualified auto locksmith, you can get practically any services. It always recommended to have a number or two for a local locksmith. This way, you can get the services you need fast. You may however not know where to find good locksmiths. It’s not like you can use the first one you come across. Remember that this is your car; it’s a big investment. You want someone who will respect that. When looking for an auto locksmith, find someone who is insurance. Insurance gives you some peace of mind. At least you know if the locksmith caused damage to your car, you can hold him responsible. Professionalism should be a key factor when hiring an auto locksmith. You want a service that will respond fast. With Port Locksmiths, you can expect to get that kind of service. You won’t have to wait around for hours before the locksmith shows up. Our locksmiths believe in satisfaction of customers. That is why they don’t waste any time attending to you. Port Locksmiths is what you need for any kind of car locks situation. If you need to get new locks, you can be sure you will get the best quality. You can also get your keys cut or duplicated. We also replace transponder car keys. If you find yourself locked out of your car, you just need to call us. The safety of your car is our priority. We aim to ensure that you don’t have any more problems with your car locks. With Port Locksmiths you know who to call when your car locks give you trouble.